Situated where the A5 crosses the A470 Betws-y-Coed is known as the Gateway to Snowdonia. It’s surrounded on all sides by forests and it’s name actually translates at ‘Sanctuary in the Forest’. It’s the perfect base for walkers, cyclists and mountain bikers but also a great place to just relax! There are 3 rivers surrounding the village. Conwy, Lledr and Llugwy. Fairy Glen gorge is where the Conwy and the Lledr meet and if you take a walk round Betws-y-Coed golf course you will see the place where the Conwy then meets the Llugwy. There’s a fantastic history behind how the village became so popular. Unfortunately the best link I could find was this one (Wikipedia) but there’s some great books you can pick up in the village too. Back in 2011 when Stu was consolidating his Mountain Leader Training the village became our base. We stayed here every other weekend exploring the area, doing navigation courses and getting out in the mountains for Stu’s QMD’s (quality mountain days). Betws-y-Coed made that decision really easy for us so in 2014 we moved and now love it even more! Hope that helps? If not ask a local next time you’re here… they’ll be delighted to explain it properly! With a population of less than 500 people there are around 70 accommodation providers to suit a whole range of visitors and it is, understandably, a popular place to visit whether for a day out or a few days exploring. We get asked a lot for recommendations on where to stay or eat and places to visit so we thought we’d put them all in one place to make it easy for you. 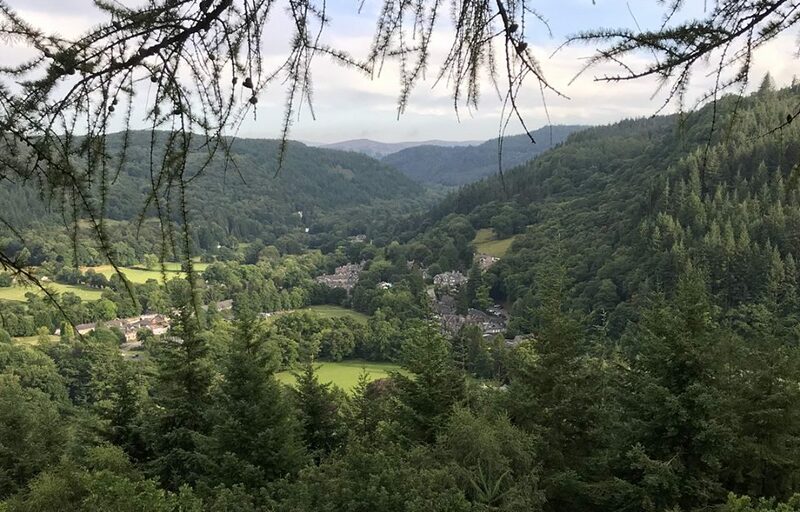 When you’re looking for accommodation and things to do the best place to start (after this blog) is the Visit Betws-y-Coed website. Here you can select the type of accommodation you’re looking for. If you’re anything like me for making decisions then pick up the phone and have a chat with them… in our experience they are all very friendly and if they don’t have space or don’t think they can offer what you need then they will be able to recommend someone who can! 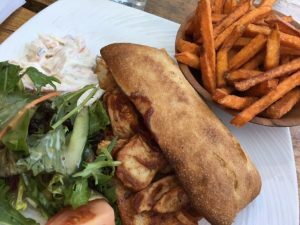 The village provides a huge range of places to eat from the Welsh Bistro to Tapas, Pizza to Burgers; and some great take outs, fish and chips and places to buy packed lunches and snacks. There are an endless number of walks accessible from the village either directly on foot or via public transport or a short drive away by car. We couldn’t possibly list them all here but what we’ve done is tell you below about a few of the resources available to help you find the right walk for you. Snowdonia National Park visitor centre is based opposite the station and a good place to pick up details of these walks and other things to do. They also have a handy pack of walks put together by Natural Resource Wales you can pick up for about £3 which includes directions and maps of each walk. Conwy Valley Railway Walks website has walks 2-3 hours long accessible from the stations. 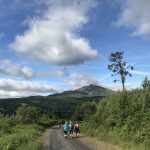 Mud and Routes is a comprehensive resource for local walks and those further afield, especially if you’re looking for something a bit more challenging! 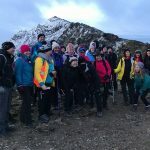 If you’d like to explore a little bit more ‘off the beaten track’ but would like someone to show you the way we can help with a mountain leader for a few hours or a few days to create some tailored adventures for you. Sherpa Bus – for buses which take you from the village to access most of the Snowdon paths and many other areas. 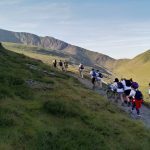 There are a whole load of exciting adventures to be had in Snowdonia, all accessible from the village. Details of these can be found on the Visit Betws-y-Coed website. Again, we couldn’t resist mentioning a few places we like to visit that are either in or within walking distance from the village… or you could even hire a bike to explore a bit further! If you have time to shop then you will find pretty much everything you need while your here in Londis and Spar. Don’t forget a visit to Cotswold Outdoor to pick up some shiny new kit with great advice and service. If it’s souvenirs you’re looking for then you’ll find a whole selection in Judges (next door to Londis). Betws-y-Coed is becoming a popular location for events. Gwydyr Forest and Penmachno Forest are currently the base for Wales Rally GB. Keep up to date with events we are involved in on our facebook page. To find out about other events coming to the village visit the Visit Betws-y-Coed website. We are happy to help if there is anything else you’d like to know. If we can’t help then we’ll probably be able to point you in the direction of someone who can. You can contact us here.